“I have been in Iowa for nine months now, and everywhere I go I see signs that Bernie is going to win. I see Bernie buttons on cashiers in checkout lines, and anytime I have Bernie gear on people compliment it. Reported by a clearly biased observer in Iowa. His view tends to support news reported in the MSM. From a post by Scott Galindez. Read his full post here. Sen. Bernie Sanders announced today that he will run for president of the U.S. in 2016. Sanders, the Independent U.S. senator from Vermont, will run as a Democrat. He calls himself a democratic socialist. Remember those two words: democratic socialist. I could support Bernie Sanders for president. Let me think about it. For video of the Sanders announcement, see Politico. I’ve been a participant-observer in Democratic Party politics for a long time. Usually, I think long and hard when two or more Democrats are competing for the same office. Thinking back to 1968, I was a Democratic college student during the Vietnam War. Like many students, I supported Sen. Eugene McCarthy, the peace candidate, for president, My memory is unreliable, but after Bobbie Kennedy entered the battle for the Democratic nomination, I was torn between McCarthy and Kennedy. It was a tough decision, and I don’t remember which way I came down. I also respected Vice President Hubert Humphrey, the more traditional candidate that year. Bobbie Kennedy, of course, was assassinated after the Democratic primary in California. Humphrey won the nomination in Chicago, while the Chicago Police Department ran riot amidst protesters on the streets. Humphrey lost to Republican Richard Nixon in November. OK, I’ve thought about it. 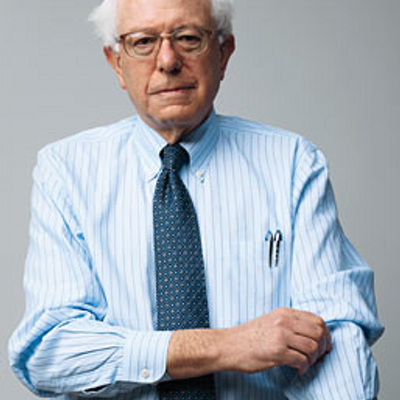 I believe I’ll support Sen. Bernie Sanders for president of the U.S. in 2016. Things can change. I might change my mind. But I doubt it. The times were right for Gene McCarthy or Bobbie Kennedy in 1968. The times are right for Bernie Sanders in 2016. In 1968, the issues were war and peace and civil rights. In 2016, the issues are economic equality and civil rights. Not since 1968 has the line been so clearly drawn between the elites and the people. I believe Bernie Sanders could win a Democratic primary election in my state, Maryland. A U.S. Senator named Barack Obama upset the establishment candidate, Hillary Clinton, here in 2008. It has happened before; it could happen again. May you live in interesting times. More later. Anyone else ready and willing to commit to a candidate? Maryland Gov. Larry Hogan. What You See Is What You Get. This morning’s Washington Post, the concluding edition of 2014, carries a photo taken on Tuesday. At the bottom of Page B6 you can view the picture: Maryland Governor-Elect Larry Hogan behind a lectern, flanked on his right by two American flags and two political appointees, and on his left by two Maryland flags and two more appointees. Official and patriotic. Looks like a picture straight out of the 1950s. To summarize, five white men in dark suits, middle-aged or older, in a row at the front of a press conference. If anyone was wondering what Maryland voted for in the 2014 General Election, there you have it. Old, white men in suits. What you see is what you get. Let the record show that all the Hogan appointments to date appear to be well-qualified for their positions. You may have heard that Maryland is a diverse state. Numerous races, ethnic groups, two genders, more than two legal sexual orientations. The Maryland Republican Party gets all that. I’m giving them the presumption of the doubt. Mr. Hogan has inoculated himself against the very point I raise by choosing an African-American to be his running mate, and now, by virtue of electoral success, the next lieutenant governor. I won’t venture any predictions for 2015, much less the entire four-year term of the Hogan administration. Let the photo on B6 speak for itself. Such is the state of politics in Maryland on the cusp of 2015. Have a Merry New Year. Choose to drink, or to drive. One only, not both.